Here’s a question for cat and dog owners: How much does your pet sleep? Whether or not you allow your pet to sleep beside you, as a good pet owner you should be aware of your furry friend’s habits. In fact, many of you may be worried right now, and wondering what normal sleep is like for the typical cat or dog. After all, we know that for humans, sleep is an essential part of physical and mental health maintenance. The same should be true for your Garfield or Snoopy, right? The fact is that we worry so much about our pets’ sleeping schedule because they’re so different from our own. It’s normal for the average person to be a little sleep deprived; often the problem for most humans is not getting enough sleep. In comparison, it can seem like cats and dogs just nap all day—and most of the night, too! Sometimes it feels like it can be a bit too much; but how can we tell if they’re oversleeping or not? Here’s the lowdown on pets and their sleep habits—because we know that worrying about your beloved furry best friend will probably affect your sleep habits, too. When we say pets, we mean cats and dogs. 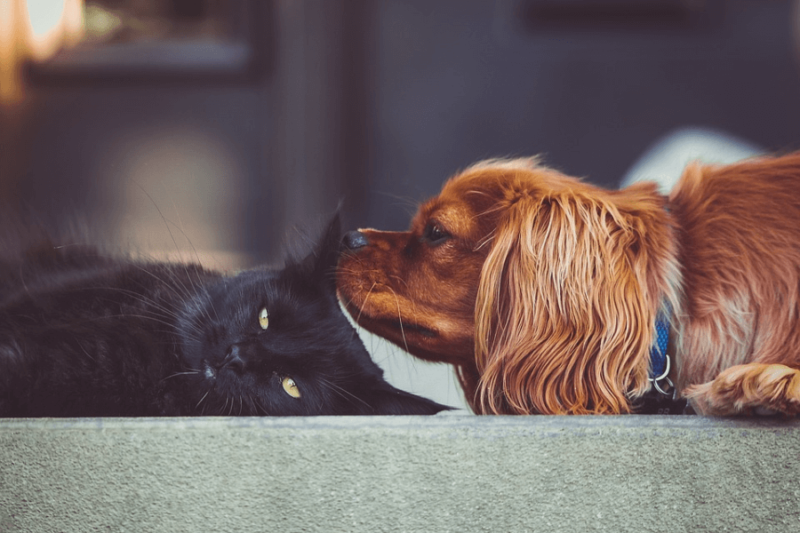 While we know that there’s more to pets than those two species, we’re focusing on the most common here—specifically the most common to be let into their owners’ bedrooms. Garfield and Snoopy actually have roughly similar sleep needs, which can range from 12 to 20 hours daily. And while they sleep more often than humans, they also wake up more often; resulting in many naps throughout a 24-hour cycle. When cats and dogs nap, they’re also still very alert; deep sleep is not common. The average amount of sleep that a cat get in a day is about 16 hours; but for specifics you will want to factor in a cat’s age, personality and typical daily activities. A cat’s environment—from the weather to its owner’s usual routine—will also affect the amount of sleep it gets. For example: Kittens and senior cats can sleep for up to 20 hours in a day; or even more, if the kitten is particularly energetic or the senior cat finds a cozy and comfortable spot that’s quiet and out of the way. Like humans, cats that are young and elderly need more sleep than others, because they need more rest and restoration. Other things that can subtract from or add to the average 16 hours of sleep that an adult cat gets can include something as simple as the temperature dropping a few degrees, or as complicated as moving houses. A cat that isn’t very curious and doesn’t like exploring much won’t expend as much energy, and will probably need less sleep. Conversely, a cat that is playful and adventurous will probably sleep more. Changes in the cat’s daily life will also naturally affect its sleep schedule—but as long as the changes are slight and not accompanied by long term changes in temperament, you shouldn’t be worried. Dogs are not so different from cats when it comes to sleeping habits. The average amount of sleep a dog gets is about 14 hours, but again, specifics rely on several conditions: Age, breed, daily routine, personality and the like. Young and senior dogs also need more sleep than usual; anywhere from 18 to 20 hours. Puppies are often just bursts of pure energy when they’re awake, but when they get exhausted it’s not uncommon to see them crash suddenly and sleep—sometimes in the middle of playing or walking! Old dogs—like old cats and old people—just tend need more rest in general. Some dog breeds also just love to sleep and lounge around more than others. If you own a Bulldog, Chow Chow, or Shih Tzu, you know this for a fact! There are actually many kinds of dogs that are this way; it likely has to do with a breed’s specific characteristics. Larger dogs—like Great Danes or Newfoundlands—also tend to sleep more than smaller ones. What your dog does can also influence its sleeping habits. Active and working ones like therapy dogs, police dogs or even farm dogs usually sleep less than non-working pups—about 12 hours. This is different from cats that sleep more the more active they are when they’re awake. Can Pets Suffer from Sleep Problems, Too? 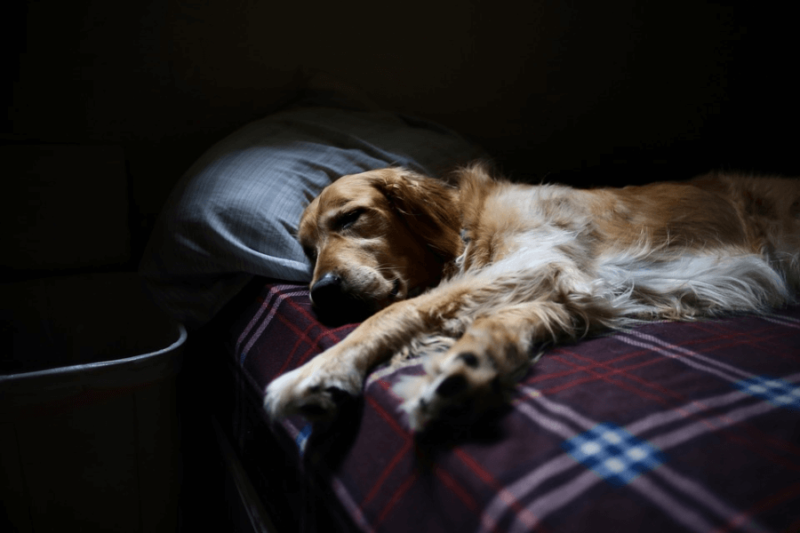 Yes, of course pets can suffer from sleep problems; but usually these problems aren’t sleep disorders as much as they are symptoms of a weakened physical or mental state. Changes in sleep habits can be a sign of illness—like anemia, hyperthyroidism, or even diabetes—or something that’s harder to spot in non-humans, like depression. What’s worrisome is that pet owners rarely get to observe their furry friends for a full 24 hours, so unless the change is very extreme, sleep problems can go unnoticed for a long time. 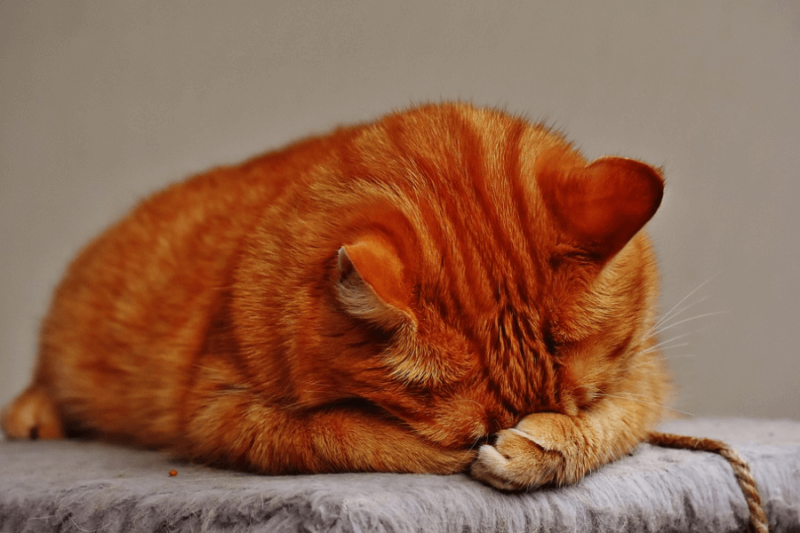 If you are worried, we encourage you to check your Snoopy or Garfield for other signs of illness or personality changes—like loss of appetite; or uncharacteristic crankiness, distress, lethargy or disinterest—before jumping the gun and making an emergency trip to the vet.